I have been saying for months that I wasn't truly excited about the regime change inherent with the coming of President Obama. I am way too cynical, assuming that the corporations, fat-cats, and free-market worshipers will maintain their authority and continue to control too many facets of American (and global) society. I was bothered by the number of mentions of this "historical" day, wondering why race was such a factor in the inauguration coverage when it was seemingly removed from the campaign. Wondering if Hillary Clinton had been elected would there be this type of "historical" coverage for the first female president. Assuming that the coverage for a McCain presidency would be minuscule in comparison. This, all from an Obama voter. That being said, seeing the Twitterstream, international news coverage, blog comments from the US and beyond, watching the inauguration, hearing how many people took time away from their busy lives to watch the inauguration coverage, I was moved. 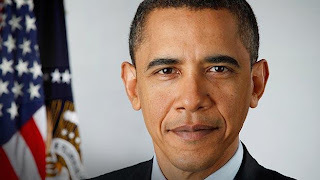 President Obama can orate. I mean, Cicero would be envious of Obama's ability to capture the attention of a crowd. The rumors are out that speechwriters created four different drafts of his inauguration speech. Obama, not satisfied with any of them, then spent hours upon hours rewriting them and ended up with something that was mainly his own doing. I hope he continues to take control of tough decisions in this manner. I hope he takes the advice of his inner circle, then comes forth with his own opinions and decisions. President Obama's speech was nothing short of brilliant. He invoked science, believers, non-believers, renewable energy, violence, diplomacy, global alliances, service, denouncing greed, oversight of the economy and hope for a future generation. Look at the words he used. 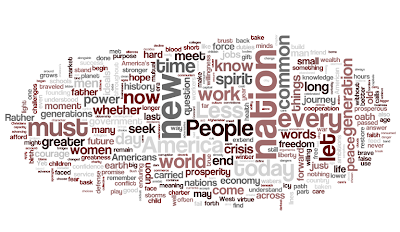 New, Nation, People, America, World, Common, Today. Those words evoke a feeling of togetherness not seen since September 12, 2001. Not just togetherness in a jingoistic, nationalistic paranoid sense. But a true sense of international harmony. Togetherness in the sense that we all must work together. People of every nation, and every generation looking for peace. Prosperity and freedom can only come by working together. We all must give a little to gain a lot. All of us, men, women, children, white, black, brown and yellow must work together, with an unnerving spirit to secure the future. Be proud to be American, but be prouder to be a member of the human race. Don't look down on others. Don't speak at people, speak with them. Communicate. Listen. React. Engage. For only together can we overcome the ills of society and move into the future. For the complete text of President Obama's inaugural address, check out the Minnesota Independent coverage.